1. Bake chicken for 1 hour. Cool. Shred. Cover bottom of buttered baking dish with corn tortillas. 2. Add layer of chicken and soup mix and cheese. Continue layering ingredients. Finish with grated cheese. Bake 1 1/2 hours at 300 degrees. Serve with green salad and rolls. 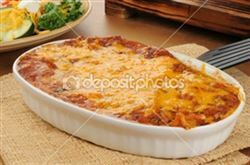 Enjoy this delicious chicken enchilada Mexican recipe!